Hi I’m Marie Lyon. 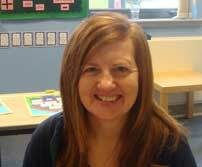 I was delighted to be appointed Headteacher at Arngask Primary. I worked in Fife for over twenty years. I worked as a class teacher in different settings including a Speech and Language Class for Primary One to Seven Pupils. Before coming to Arngask, I worked as Principal Teacher and Headteacher at Inzievar Primary School in Oakley.